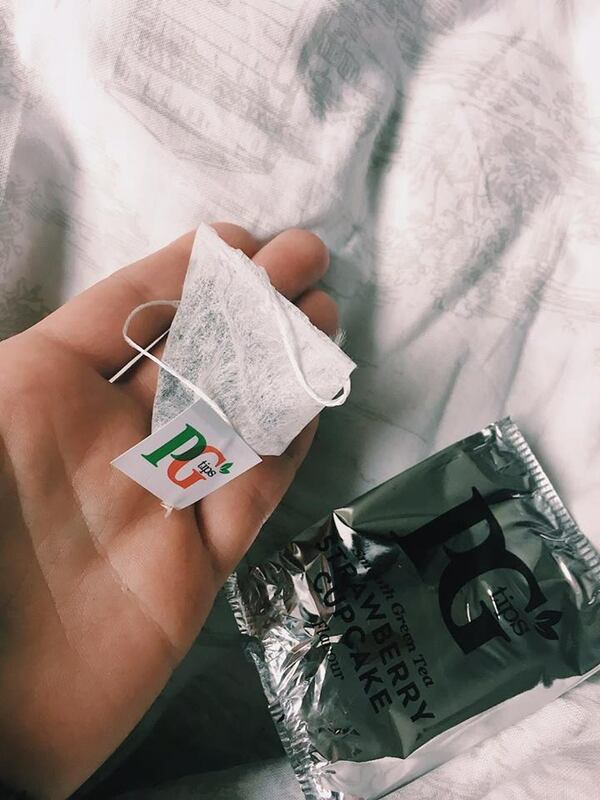 Banish the four teaspoons of sugar in your tea and wave goodbye to those mini cake wrappers you have brashly shoved down the back of your bed – PG Tips have created a sweet but insanely healthy alternative to shovelling down sugar, in the form of tea. 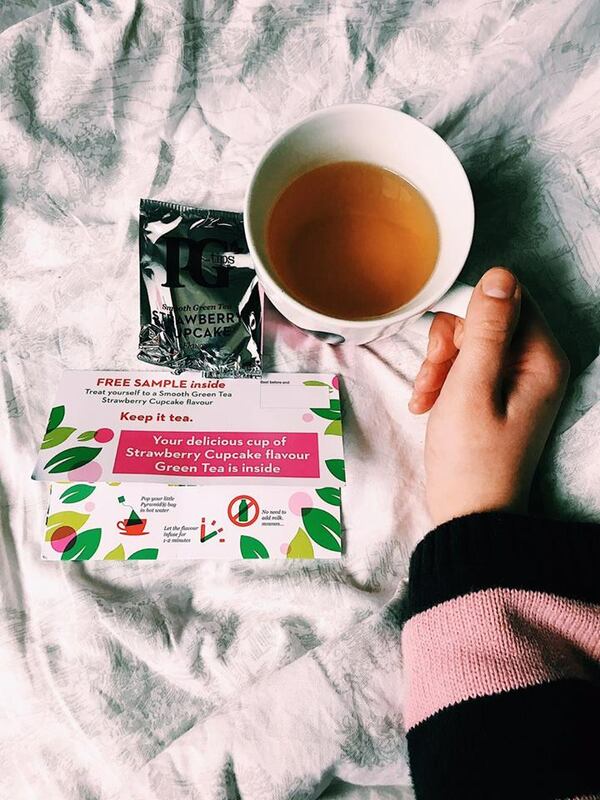 A sweet aftertaste with properties such as speeding up metabolism and lowering blood-sugar levels: introducing PG Tips Strawberry Cupcake Green Tea. 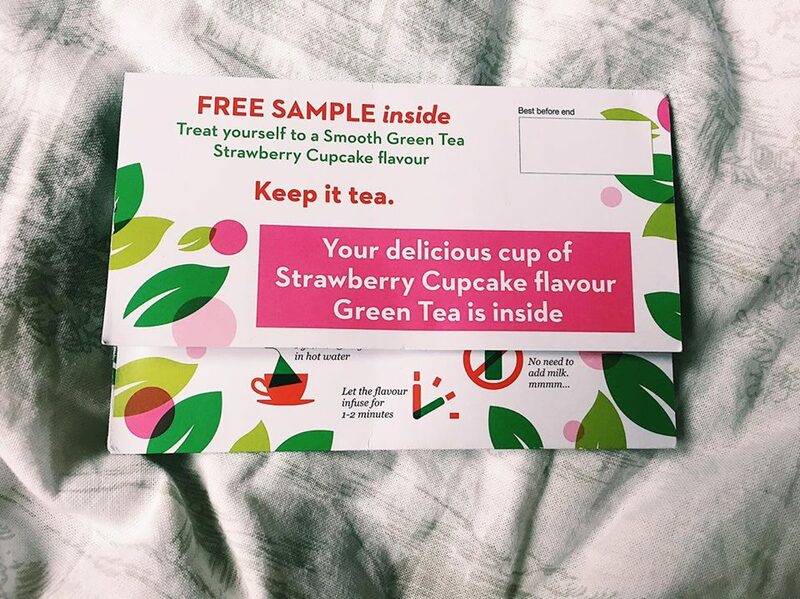 Yeah, you read that right STRAWBERRY CUPCAKE GREEN TEA. 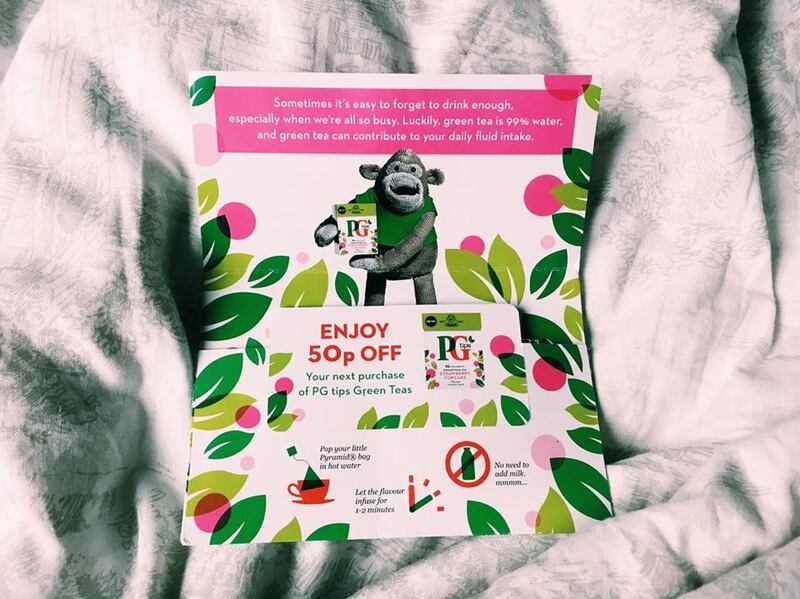 I received a little PG Tips envelope through my letterbox with my delicious sample of Strawberry Cupcake Green Tea concealed inside, and within ten minutes I was already guzzling it down. I just could not help myself. Taking form in the classic PG Tips pyramid bag, the green tea was instantly plucked from the foil wrapper (to keep fresh) and dunked straight into some freshly boiled water. Now I was going to have coffee, but the prospect of this tea was so much more inviting! With the refreshing tea only needing to infuse for roughly 1-2 minutes, it has never been easier to consume some goodness, whether you have just awoken from a broken sleep or a hungover nap: 2 minutes, bam, and green tea. The aromas coming from the Strawberry Cupcake-infused cuppa were divine. Super poignant and luxurious, the smells wafting from the tea were warm and sweet yet still rejuvenating for the soul. Comparing tastes to smells there was a huge difference. Where you expect it to be sickly and overpowering, the taste is smooth and calm, with a definite hint of the Strawberry Cupcake flavour on the back of your throat. 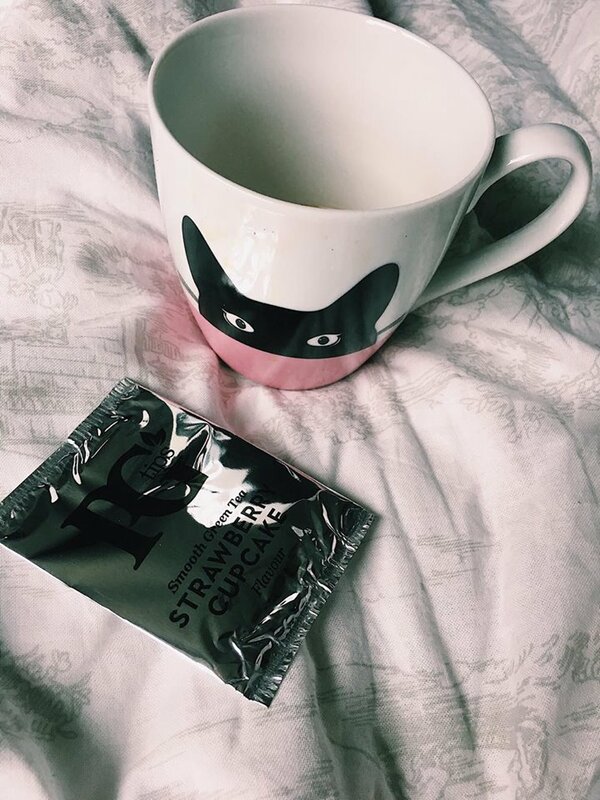 Satisfying your sweet tooth cravings while doing the best for your body, this tea actually makes you want to drink it, not make you feel like you have too. 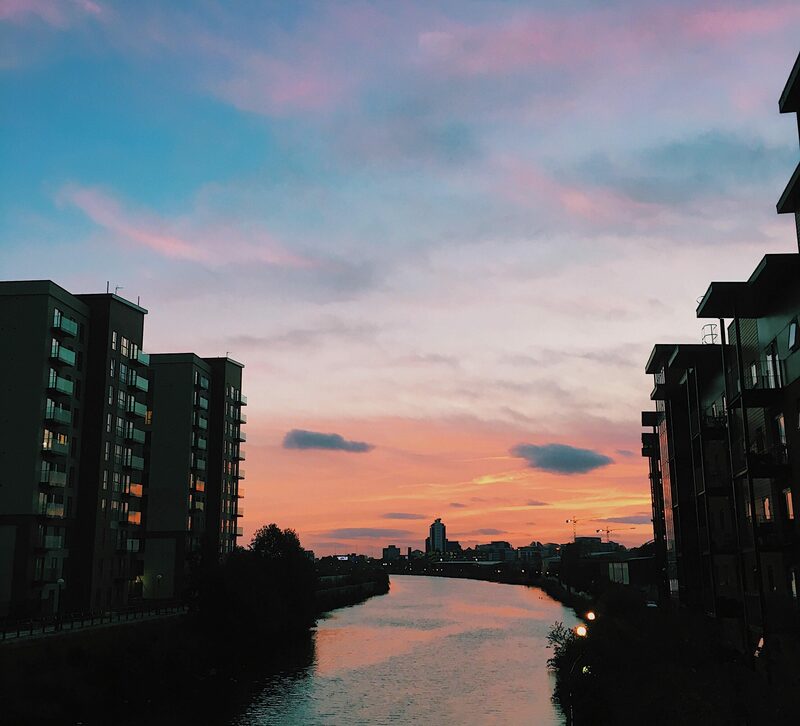 Honestly, go and get you shoes on; go and get your jacket on (who cares if you’re still in your PJ’s?) and get down to your local supermarket and GRAB SOME Of THIS BLOODY TEA. 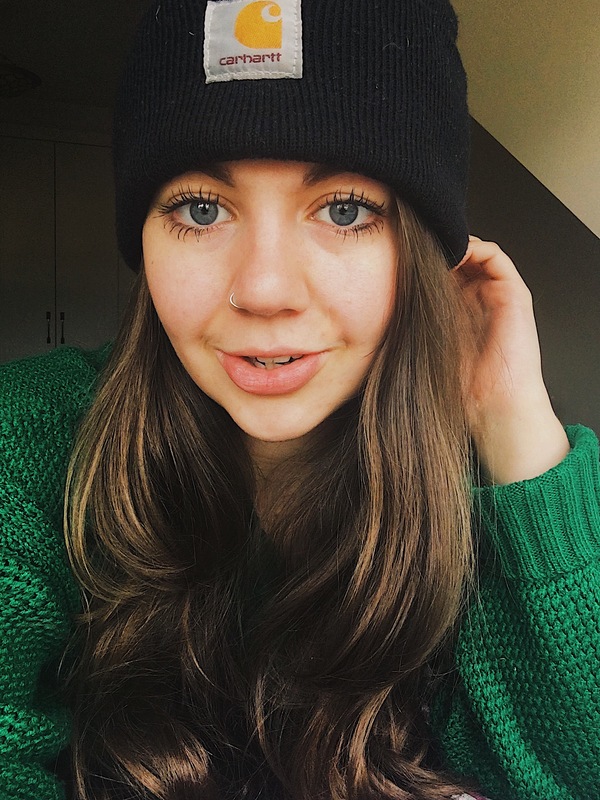 I am about to do exactly the same (I might swap my shorts for some long pants though; it’s a bit cold right now in Manchester) because this has revolutionised my green tea experience. Haven’t seen this tea before, looks interesting…must try!